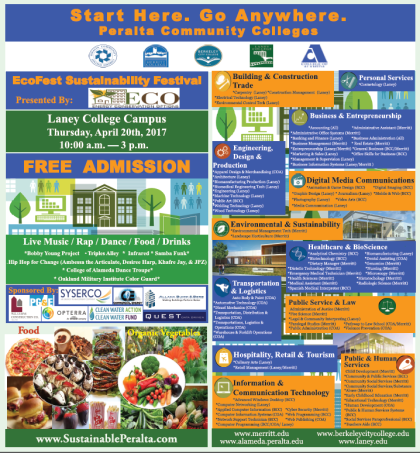 In celebration of earth week 2017, the Peralta Colleges will host the 11th annual EcoFest Sustainability Festival at Laney College on Thursday, April 20, 10:00 a.m. to 2:00 p.m. 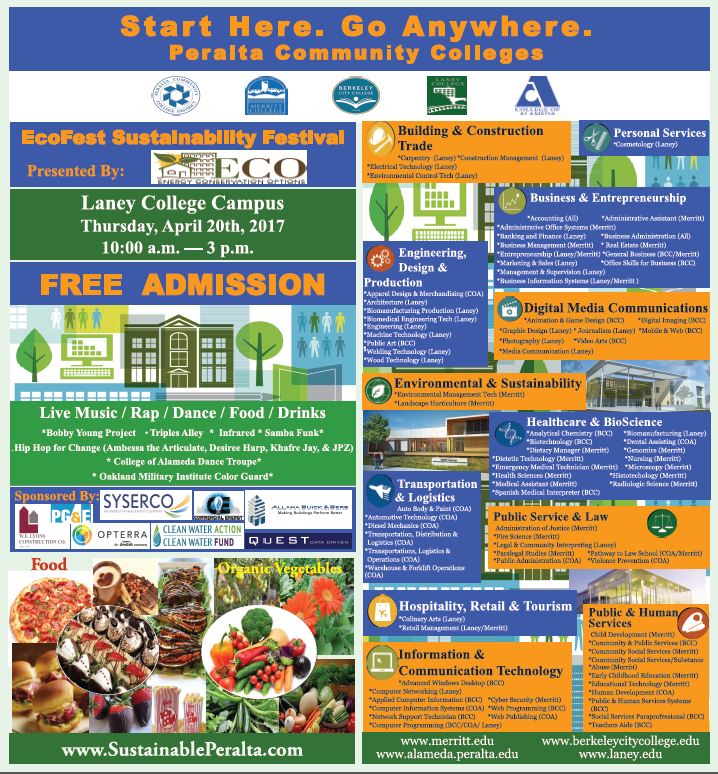 The festival will feature a farmers’ market, food prepared by Laney Culinary Program, local exhibitors featuring sustainable goods, and a children’s playland. There will also be live music by The Bobby Young Project, Infrared, Triples Alley, and Samba Funk! ; and perfromances by DJ Yaddos,COA Dance, and Hip Hop For Change Artists’ JPZ, Ambessa the Articulate, Desirae harp, and Khafre Jay.